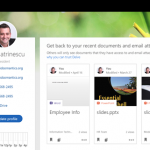 In Office 365, profile completeness is key to multiple cloud experiences. For example, you cannot really do approvals by the manager, if the manager is not set in the user’s profile! Another good example would be a people directory, which would be a bit useless if users don’t have their location and phone numbers filled in! In this series, we will look at how to use PowerShell to create a report of Office 365 Users missing key properties! In this blog post, we will focus on how to find users that did not set their birthday as part of their SharePoint Online profile. Honestly, one year ago, I never thought this was something I would write, because I didn’t think anyone used this. However, since I have joined Valo Intranet last December one of our most common requests has been a Birthday webpart! The webpart now exists, however, like anything else in tech, if you do not have the information in your profile, the webpart is a bit useless! I will then get all of the users in my tenant, that are internal to the company (Member) and that have at least one license assigned to them. 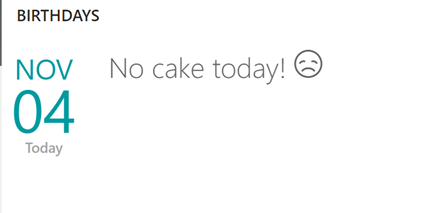 Next up, we will create an empty array in which we will later store our users without a birthday. Now that we have all our information, we will loop trough each user, and find out if they have a SharePoint Online Profile or not (since the birthday is stored in the SPO profile, not in Azure AD). If the profile exists, and the SPS-Birthday property is equal to an empty string, it means the birthday for this user is not set, so we will save the user object in the array we created in the previous step! And here is the full script in one piece! 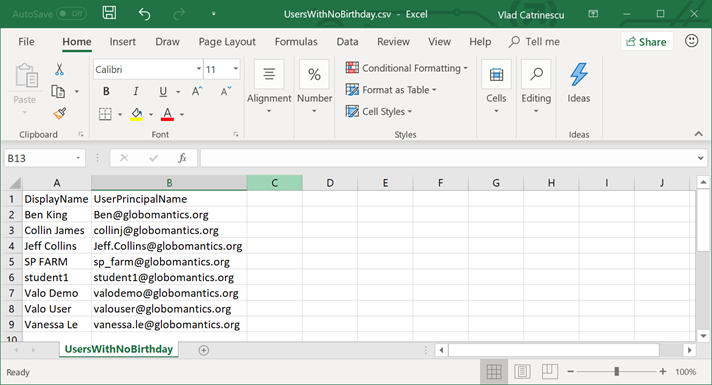 The final result is a CSV file in which we can see the display names and user names of all of the users in our tenant that don’t have a birthday in their profile! You can either contact them individually, or even Send Email from PowerShell in Office 365 in order to automatically send them a nicely formatted HTML e-mail asking them to fill it! Books are really ways to learn a topic from start to master, and even if they cost some dollars, they’re always a good investment! NOTE: Pluralsight is a paid resource unlike Channel9, Youtube, and Microsoft Virtual Academy which are free. The quality they provide is also superior because of all the quality checks they go through, and the instructors are one of the best in the industry. The Pluralsight courses have a link to where you can get a free trial and decide for yourself if paying a subscription or not is worth it, but the 10 day free trial should allow you to view all those courses for free. In this course, you will learn how to use PowerShell to manage Office 365 services. 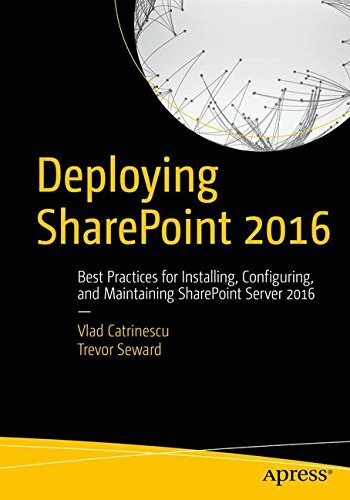 You will learn how to connect and manage users and licensing, SharePoint Online, Exchange Online, Compliance Center and last but not least, Skype for Business Online. In this 300 level session, you will learn how to automate the management of Office 365 using Windows PowerShell. We will discuss how to connect Windows PowerShell to Office 365, tour the Office 365 cmdlets, and demonstrate how to manage domains, users, and services including Exchange Online, and SharePoint Online. 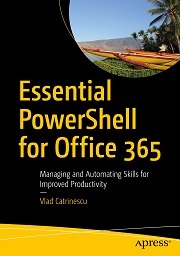 Join us in this fast-paced demo to learn how to manage Office 365 users using PowerShell. 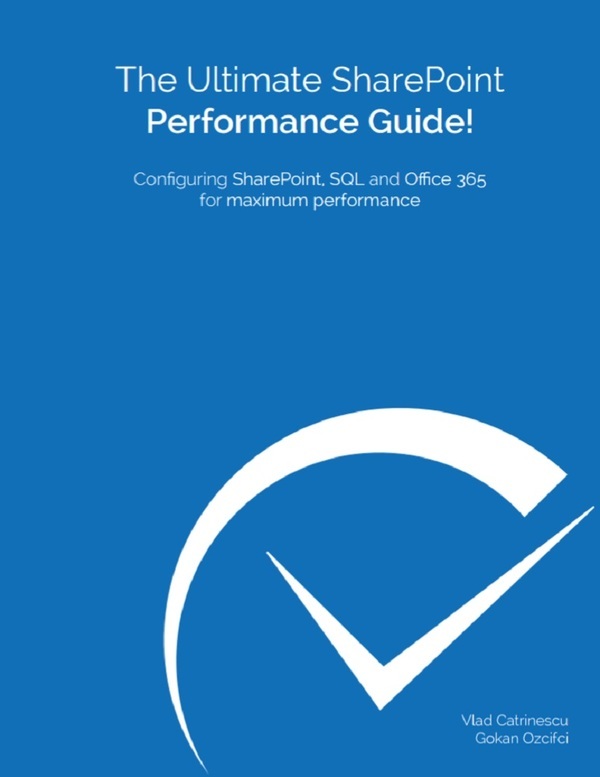 Experts show you how to create and delete users, update user IDs and passwords, assign licenses and groups, and much more.